Governor Deval Patrick signed a bill yesterday banning the possession and sale of shark fins in the state of Massachusetts. This makes nine states that have taken definitive action against this unsustainable practice. Sea Save Foundation played a pivotal role in building momentum and support for the passage of California's shark fin ban. In addition to California and Massachusetts, Oregon, Washington, Illinois, Maryland, New York and Delaware have enacted laws prohibiting the sale of shark fins and food containing the fins. This bill makes Massachusetts the ninth state to pass legislation criminalizing the shark fin trade. Violators will be fined between $500 and $1,000, as well as up to 60 days in jail. American restaurants serving shark fins are just the tip of the problem. Tons of shark fins are shipped to Asia annually. This is a lucrative market, and the high-dollar value of the fins makes it difficult to curb the demand. Even so, we are beginning to see a shift in attitude and heightened awareness about this unsustainable practice. Researchers tracking the movements of seals discovered that these predators are seemingly attracted to offshore wind farms and underwater pipelines. The man-made structures apparently double as artificial reefs and delectable hunting grounds. Data was collected from more than 100 GPS-tagged harbor and gray seals on the British and Dutch coasts of the North Sea. The results showed that 11 harbor seals regularly visited two active wind farms: Alpha Ventus in Germany and Sheringham Shoal in the southeast United Kingdom. The seals traveled in grid-like movement patterns as they appeared to forage from one turbine to another, seemingly foraging and hunting. The turbines, and the habitat they create, might be resulting in the number of prey species. The hypothesis is that these increased numbers of fish and invertebrates could be resulting in an increase in the number of visiting pinnipeds. California's new shark fin ban will soon be challenged. One of the strongest opponents in the heated debates that preceded the passage of Assembly Bill AB 376 was Michael Kwong. It seems that Mr. Kwong opted to ignore the newly adopted policies. State wildlife officials found 2,138 pounds of shark fins at Kwong's San Francisco warehouse in January -- six months after the ban took effect. Kwong's family has been selling shark fins to restaurants for shark fin soup since 1906. The maximum penalty for each count is $1,000 and six months in jail. The School of Ocean and Earth Science Technology (SOEST) just received the largest grant in the school's history. $40 million dollars will be dedicated to open ocean exploration. Donated by the Simons Foundation, the money will be used to study disciplines such as microbiology, oceanography and chemistry. 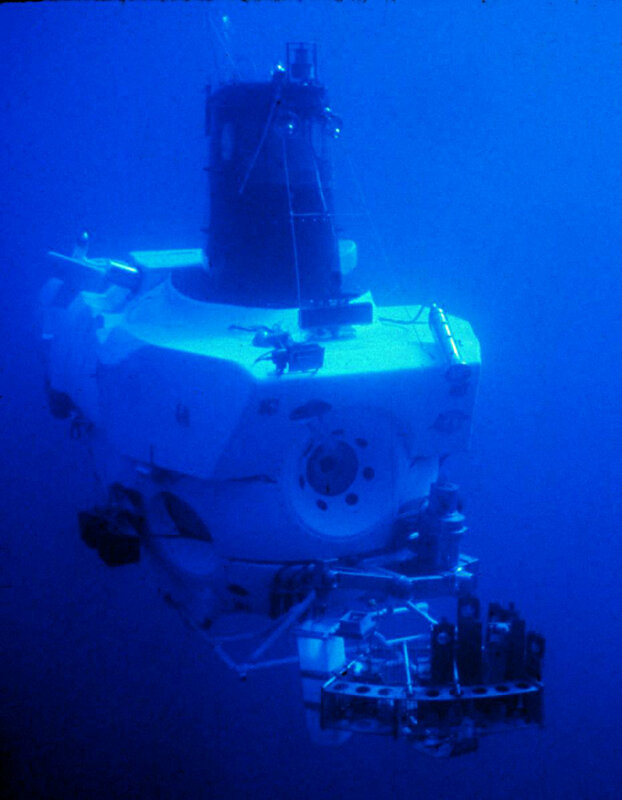 The research will be conducted at Station ALOHA, an ocean outpost located 100 kilometer off Kahuku Point, Hawaii. This funding will further the 25 years of research conducted by SOEST. 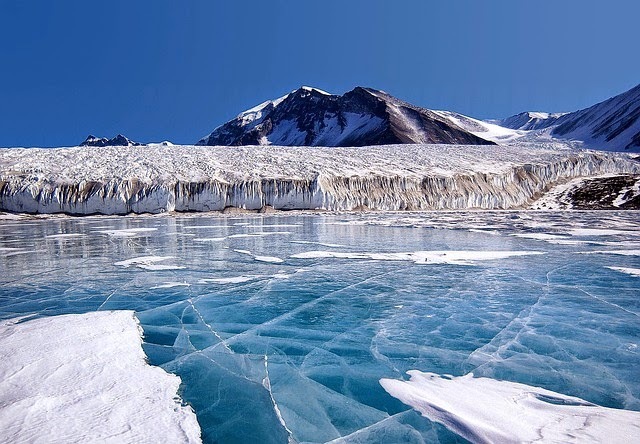 At least one species of fish might be able to survive predicted polar warming, according to a Cambridge University study. The Philippines' largest air transportation company, Cebu Pacific Air, has announced that it is banning shark fin cargo and will no longer serve shark fin soup inflight. Take a "deeper" look here to see why the company decided to implement this change, and what it means for ocean conservation worldwide. The Philippine island chain is comprised of about 7,000 individual islands, and more than 150 species of shark call the surrounding waters their home, including the giant whale shark, which can reach over 40 feet and weigh more than 20 tons. Lying along the equator, the tropical waters around the Philippines straddle sharks' migratory routes, creating a robust ecosystem that includes a variety of shark species. Over the last decade, the Philippine government has worked to preserve the country's coral reefs and maintain a stable marine environment where sharks can flourish. 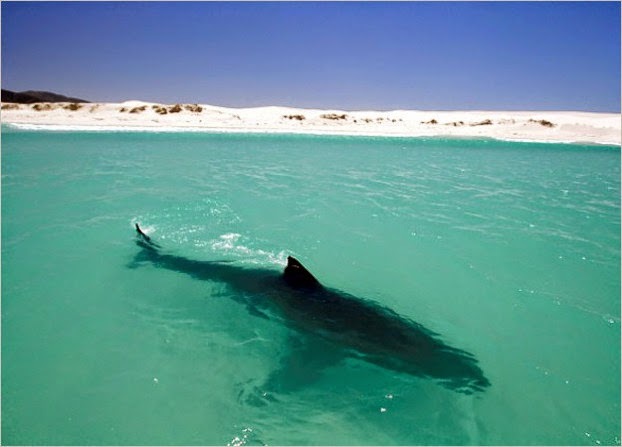 Since the shark population has begun to improve, the tourism industry has also grown steadily. Donsol Bay representatives in the northern Philippines have done a great job of promoting eco-friendly tourism and whale shark tours. 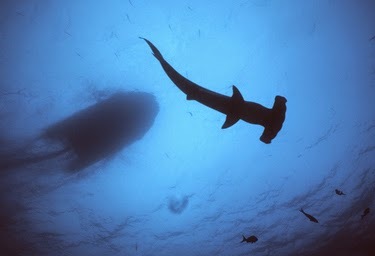 Currently, Malapascua Island is the only place in the world where the very rare thresher shark can still be reliably seen. The shark fin ban is a strategic move for Cebu Pacific Air, as Criselda Sy, native Filipina and volunteer for Sea Save Foundation, explained: "As a Pepperdine University business major, I learned that success hinges upon demand and smart positioning. Cebu Pacific leadership sees that an increasing revenue stream is coming from national and international diving tourism." For Filipinos like Criselda, conservation efforts in the Philippines are a point of national pride. "The Filipino population is very proud that Tubataha was awarded UNESCO World Heritage status," she said, referring to Tubataha Reefs Natural Park, a protected area of the Sulu Sea known for its rich biodiversity. "This means that we have a responsibility to protect this unique treasure. It also means that there is and will be a demand for Cebu Pacific Airlines to fly tourists to the launch point for Tubataha and our other underwater treasure that are found throughout the Philippines. I want to know that these areas will be protected for tomorrow's children. Cebu Pacific wants to know that these areas will be protected for their future growth projections in the ecotourism sector, which promise to be significant." Criselda's decision to volunteer with Sea Save Foundation was motivated partly by this love for her island home and its surrounding waters. "The future of our Earth hinges upon the health of our oceans, and sharks are essential members of healthy ocean communities. Without them, the fragile ocean network will collapse. I am very proud that my country, a nation of islands, is demonstrating responsible and intelligent business strategies by refusing to transport shark fins and support this unsustainable trade." In terms of progress, Criselda remains positive and hopeful. "Shark fin soup is still commonly found in many areas of the Philippines, but I believe this high-profile effort is a step in the right direction for the Philippines and the world. Let's keep going!" Cebu Pacific's VP for Corporate Affairs, Atty. Jorenz Tanada, echoed this sentiment. 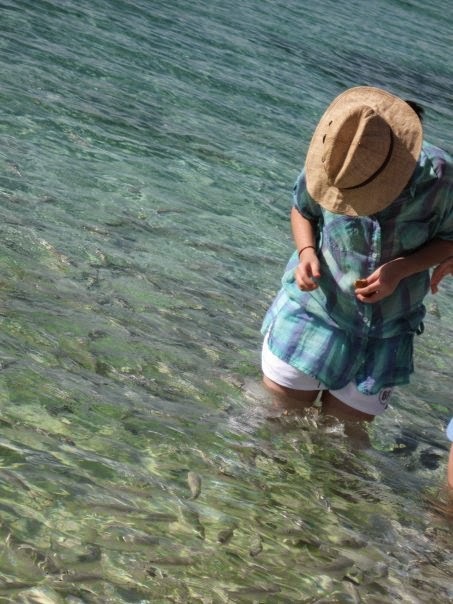 “Cebu Pacific values biodiversity and marine life sustainability. We are banning shark fin carriage effective immediately, as we learned that unsustainable shark fishing and our carriage of shark fin is not aligned with CEB’s position on sustainable development." Why Are Oceans Critical to the Economy? 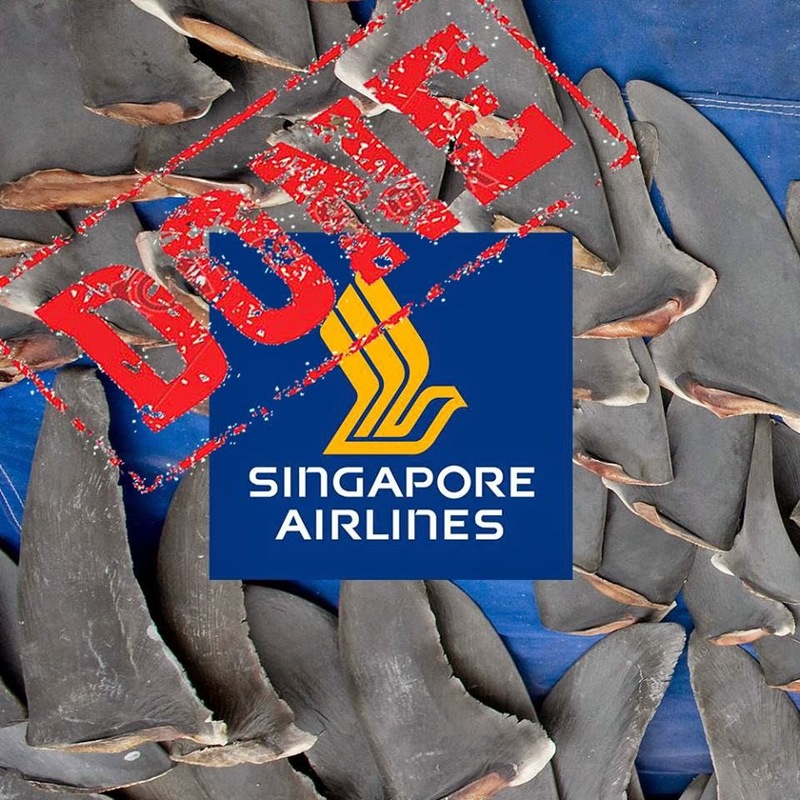 Singapore Airline’s Vice President of Public Affairs, Nicholas Ionides, announced that the airlines would no longer allow the shipment of shark fin aboard their planes. The decision was made after the conservation community banded together to pressure the corporation to seek greener practices and protect our ocean’s sharks. Ocean Geographic and Sea Save Advisor Michael Aw played instrumental roles in persuading Singapore Airlines to cease shipping fins. Michael Aw constructed a petition that garnished over 40,000 signatures and was cited by the airlines as a main factor in the decision. While this has been a victory, we are still fighting a war to protect our sharks, and you can help by signing Sea Save’s Petition to Enforce CITES II and further protect five threatened species of sharks. Read the original article here. It is a little-known fact that the United Kingdom is a major hub for shark fishing, reeling in an estimated 75 million sharks between 2002 and 2012. 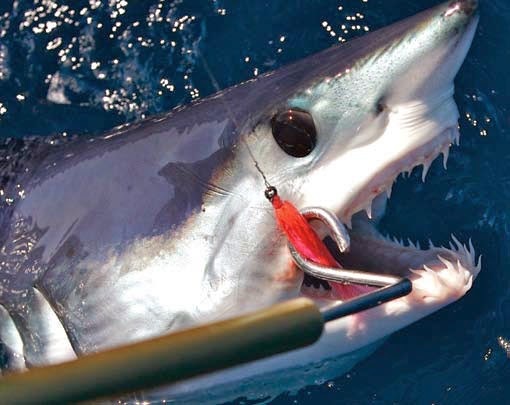 While the UK is not typically criticized for its role in shark finning, it is beginning to own up to its own vice in the shark fishing industry – no limits on shark fishing. Shark fishermen in the UK are allowed to catch as many sharks from any species they want to. The UK is finally recognizing that this is not sustainable and has pledged to take action and enforce more sustainable fishing laws. Officials in Florida have decided to reevaluate the current conservation state of their beloved manatee and potentially remove it from the Endangered Species list. 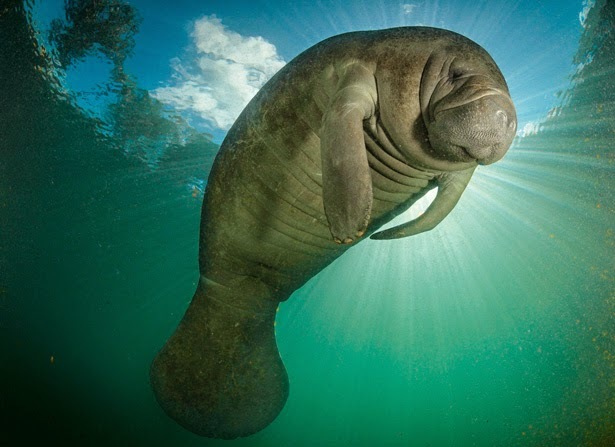 The West Indian Manatee has been listed as an endangered species for the past 50 years and has had more deaths in the Florida area this past year than ever before. Florida officials have cited pressure from boaters as a reason to reevaluate the current status of manatees. Boaters and libertarians have requested the manatee’s status be changed from "endangered" to "threatened" due to boaters' rights. Boats are the main contributor to manatee deaths every year, and activists are concerned that even with a protected status, the species will continue to decline. Beachgoers and fishermen alike seem to be undeterred by the fact that an unusually high amount of great whites have been sighted at the Jersey Shore within the past few weeks. Scientists have recorded a population increase in great whites along the eastern seaboard, but beachgoers have stated that the shark sightings will not keep them away from the beach during the 4th of July weekend. Families are concerned for children, but local surfers and skimboarders remind us that the risk of being bitten is incredibly rare. “Sharks don’t bother me,” local skimboarder Logan Sheehan says. “They don’t really like people; when they do bite, they’ll usually spit it back out. They don’t take the whole body.” Lifeguards have been trained to look for signs of sharks to alert beachgoers in case of an incident. Asia has long been known as a hotbed for the exotic animal trade but has received global infamy for it’s role in the rise and support of the shark fin industry. Shark fin soup has been considered a delicacy in Asia since ancient times and even in the present day, many still consider shark fin soup to be a status symbol in Asia. A large percentage of the world’s shark fins originate from Asia and a large portion of fins harvested elsewhere, continue to end up in Asia as well. While shark activists have identified Asia as a major culprit in the depletion of our ocean’s sharks, they are not the only guilty party, with some major corporations still supporting the trade. Singapore Airline has been under fire from conservation organizations around the globe due to their environmental negligence of allowing shark fins to be transported on their aircrafts. It is estimated that millions of shark fins have been moved across borders aboard Singapore Airlines flights. Activists and organizations around the globe have banded together to apply pressure to this company and urge them to cease their support in this irresponsible practice. 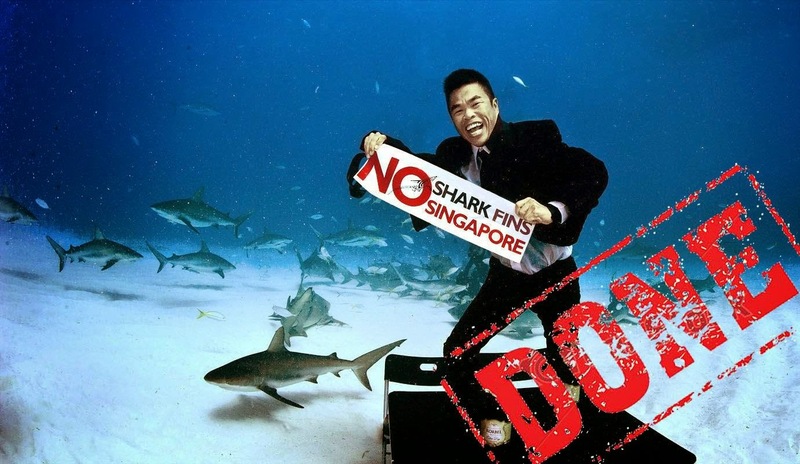 Michael Aw of "Ocean Geographic", and a Sea Save Foundation advisor has been instrumental in an international protest urging Singapore Airlines to ban the shipment of shark fins aboard their aircrafts. Michael drafted a petition urging the airline to discontinue it’s indirect support of the shark fin trade, which garnished over 40,000 signatures from activists all over the world. On Sunday, June 29th, the Vice President of Singapore Airlines, announced that they will no longer allow the transportation of shark fins aboard their planes. “SIA Cargo has been carrying out a thorough review, taking into account the increasing concerns around the world related to shark finning. With effect from August 1, [SIA] will no longer accept the carriage of shark fin”, announced Nicholas Ionides, Vice President of Public Affairs. Ionides cited the growing support on the petition as one of the main reasons for the decision. With over 40,000 signatures on Michael’s petition alone, we have successfully pressure this major airline into a more environmentally friendly practice. “This is one monumental step forward, but we still have much progress to make” states Michael Aw , “There are still many corporations that need the same push to respect our ocean and planet and make the greener choice”. Singapore Airlines has also stated the increasing amount of protests in cities such as Los Angeles, Singapore and Bangkok, all cities that have been included in Michael’s awareness mission, contributed to the decision. This is a massive win for the conservation community and our sharks, but there is still much to be done. Our sharks are under siege from not only the shark finning industry, but also overfishing and bycatch, and we need your help to protect some of the critically endangered species of shark that are being affected. Sea Save Foundation leaders have been working to raise awareness and stop worldwide shark finning. The Sea Save Foundation petition gathered almost 50,000 signatures and was presented to Governor Jerry Brown as he considered AB 376, a California bill that banned the sale and possession of shark fins. The Sea Save team has continued to fight back against the shark fin trade by supporting the CITES conference and working to get five threatened shark species protected under the CITES II Appendix. The CITES success was quickly followed by several nations filing reservations, which mean they refuse to recognize the international decision which affords these species protection. Let us keep the momentum going. The power of a petition is limitless; please take a moment to add your signature to the linked "Support CITES" petition.